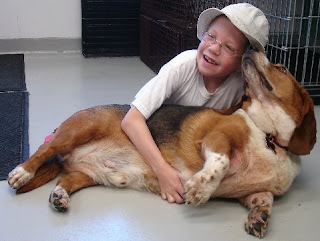 Medfield Animal Shelter News: Casey the Basset Hound Adopted! Looks as though RJ was as happy to adopt Casey as Casey was to be adopted by him. Let's hope Casey has a lovely life like all Bassets deserve. I have two sisters and they're ADORABLE and I've had Bassets all my life and love them to bits!